Air Lift Performance 3 (3H “height” and 3P “pressure”) is the only air suspension control system designed for a #lifeonair. Get easy adjustability at the touch of a finger, whether you’re driving it daily, at a show, or at the track. 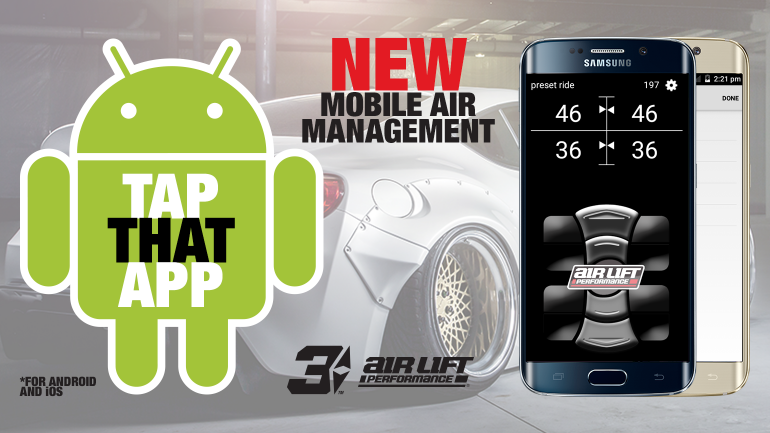 App support is FREE with every Air Lift Performance 3H and 3P system. Interface matches control, so it’s easy to go between the two. Easy to set height or pressure presets. Quick at-a-glance status of height and pressure values. Update manifold and control software easily via. Bluetooth connectivity for the latest features. Horizontal orientation at the turn of a wrist.